According to research, about 90% Apple users have come across the problem of Apple SuperDrive not working when playing DVD on Mac. Of course, they have tried their best to figure out the proper way to deal with this complicated question. But most of time, they failed. For this reason, in this article, we list some common & professional Apple SupperDrive (optical drive & USB SuperDrive) not working issues and solutions for users. Just keep reading on. Q: Mac SuperDrive not accepting discs puzzle: My Apple iMac 27" doesn't accept any new CDs or DVDs and I tried almost every solution that I can find from google like reseting SMC/PRAM, holding down left mouse button and rebooting, holding down C while rebooting, opening terminal and typing "drutil eject", etc. Could you give me an efficient way to tack the problem of Mac SuperDrive not reading discs? A: Shut down the Mac; hold down option and turn the Mac on; select the HD Recovery option; once the Recovery Drive has booted, use the menu to run Terminal; from terminal type "drutil eject", you can hear the whir of the SuperDrive. Note: This Mac DVD drive not working solution is only available on Mac OS X Lion. If you are a Snow Leopard and below user, please look for other ways. Q: My CD/DVD Drive on my iMac keeps ejecting every CD/DVD when I put a CD/DVD in the drive. It sounds like it tries to read the disc, buy fails finally. I thought maybe my Mac SuperDrive needs to be replaced so that I plugged in an external USB SuperDrive to my Mac. But fortunately, both of them ejected CD/DVD. How to fix this "CD/DVD drive keeps ejecting on Mac" issue? A: 1. 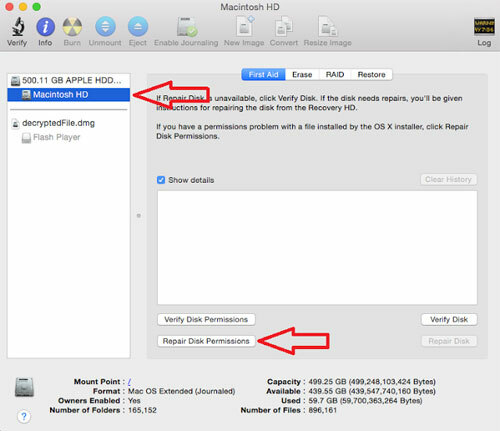 Run disk utility and repair disk permission. 1). Choose Go > Utilities. 3). Select the volume in the left pane for which you want to repair permissions. 4). Hit the First Aid tab. 5). Select the volume to which you want to install the Adobe application. 6). Click Repair Disk Permissions. 2. Delete the configuration file to create a fresh copy. 3. Reset the NVRAM/PRAM and SMC. 4. Delete the Finder's preference files. 5. Clean the SuperDrive's slot with compressed gas/Vaccum Cleaner. Q: The disc drive in my Mac won't read DVD video discs. It reads blank ones but not video discs with content. It comes up with an error message "This computer can't read this disc" when I put a DVD video disc into the Mac SuperDrive. A: The simplest solution of this DVD won't play on Mac SuperDrive problem is buying an external USB SuperDrive for Mac and later you can upgrade to a new Mac which already have an external to use. Though all of those CD/DVD drive not working solutions are useful, you still will encounter many more unexpected & new SuperDrive not working issues. So, the once-for-all solution to successfully watch new DVD movies/videos is ripping DVD to Mac with the help of best DVD ripper for Mac before SuperDrive doesn't work. Feel tired of various SuperDrive not working issues like DVD disc stuck, SuperDrive not recognized and more? Try this best Mac DVD ripper to easily rip homemade/commercial DVDs (new DVD, 99-title DVD, damaged & unplayable DVD) to MP4, AVI, MKV, MOV and more at NO.1 fast speed. Q: My iMac doesn't show on my list of devices in Finder or on the desktop when I connect my new Mac USB SuperDrive (external disc drive) to it. The strange thing is that it works on the store's iMac when I took back to the store. Is there anything I have to in Preferences or software? A: Check your iMac version. If the iMac has a built-in optical drive, Apple USB SuperDrive will not work with computer. BTW, only these Mac computers are compatible with external USB SuperDrive: MacBook Pro with Retina display, MacBook Air, iMac (late 2012), Mac Mini (late 2009) and later. If your iMac is the new 2012 iMacs, try to reset the SMC (http://support.apple.com/kb/HT3964 ) and the PRAM (http://support.apple.com/kb/PH11243). Q: I upgraded to El Capitan (10.11) on MacBook Air 11 inch and I found that my USB SuperDrive has stopped working. I have reseted SMC and other related things. Why does DVD SuperDrive fail to work? Anyone else have this problem? A: Reboot the SuperDrive connected in safe mode and it will accept the disk. Q: My SuperDrive doesn't respond anymore since I updated my OS from El Capitan to macOS Sierra. Although I press the eject button on the keyboard or go to iTunes and click Eject, there is no response from the SuperDrive. Could you help me solve the problem of macOS Sierra SuperDrive not working? 1. Shut down your Mac completely. 2. Once the screen is black, connect to SuperDrive. Then Turn on your Mac. 3. Now the SuperDrive will swallow the disc but still not launch the video automatically. Try to open the CD/DVD player in the Applications and apply it to use your Apple USB SuperDrive. Q: My USB SuperDrive Mac ceased working on iMac a few months ago. I tried to plug it into my daughters MacBook Pro and it works ok. How can I get my SuperDrive to start working again and be recognised? BTW, the DVD drive in the side of the iMac has also ceased working and my DVD discs are perfect and fine. A: To solve this SuperDrive not recognized problem, you can: check your discs whether it is clean and free of scratches or clean the lens. To solve various iMac/MacBook SuperDrive not working issues, Apple also gives out some effective ways. If you don't find the correct ways from the former guide, you can turn to the below tutorial. 1. 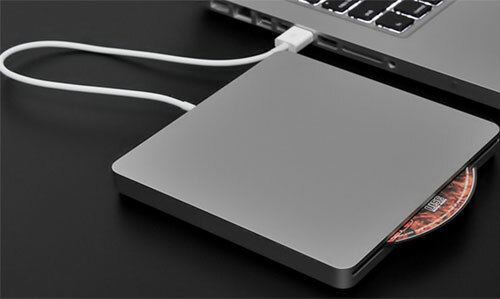 Ensure your Apple USB SuperDrive is lying flat on a surface with the silver top facing upward and don't put Apple external CD drive underneath anything heavy. * Note that he Apple USB SuperDrive and MacBook Air SuperDrive are designed especially for use with Mac computers that do not have a built-in optical drive. 2. Confirm your discs will work with your computer. The non-standard sized or shaped disc will damage the external SuperDrive Mac and Apple USB SuperDrive. The SuperDrive only works with standard 120 mm round discs. 3. Be sure your disc is flat, make sure the drive is not interfered by disc labels and reset the SMC when your SuperDrive doesn't accept discs. 5. Check the disc whether it has a label or other material stuck to the disc and insert or eject a single disc several times when SuperDrive eject disc slowly. 6. Try to insert and eject a disc several times to correct the issue of noisy or vibrating drive. MacX DVD Ripper Pro allows you to rip any DVD to MKV, MP4, MOV, AVI, FLV, WMV and more for compatible with various media players or mobile devices for replaying without limitations. No.1 fast speed and original quality reserved.